Imagine a classroom where parents, students and teachers have strong working relationships and clear understandings of goals and procedures. Where students are motivated to write as they know their work will be read. And where genuine feedback is given to encourage students to achieve their goals. A class blog with strong parent participation can bring this scenario to life. Be sure to scroll to the bottom of this post for an infographic which summarizes the key ideas from this guide. One of the many benefits of having a class blog is the strengthening of home-school relationships. Most educators would not be surprised that research identifies family involvement in schooling as the key predictor of a student’s success. Family life has changed rapidly over recent times with many parents working full time and juggling various commitments. A class blog is a convenient and effective way to encourage ongoing family involvement in schooling. A class blog can be like a virtual window into the classroom. As a teacher who maintained a class blog for many years, I certainly found families enjoyed being able to keep up with classroom events and student learning. Many parents would point out that their child was often reluctant to tell them what they were working on at school. A class blog can provide conversation starters. Parents who are up to date with their class blog can ask their child about what they’re studying while driving to soccer practice or sitting around the dinner table. These conversations can bridge the gap between home and school, and further extend students’ learning while strengthening relationships. Unlike traditional forms of written work, blogs offer an authentic audience. Your most obvious audience for a class blog is parents and families. We can’t waste the opportunity to get this ready-made authentic audience on board. …studies have found that particularly when it comes to analytic or critical thought, the effort of communicating to someone else forces you to think more precisely, make deeper connections, and learn more. “Stop saying hand it in, start saying publish it.” This paradigm shift from an audience of one to an audience of the world will inspire more students to achieve up to their potential, while instilling a life-long passion for genuine learning. Parents and family members have the potential to be engaged, active and regular readers of your class blog. We need to bring this potential to life. Parents must be educated about blogging and encouraged to participate in different ways throughout the school year. Parent participation cannot be left to chance. Education is key when aiming to get families to join in your blogging community. We can’t assume that parents (or students) bring any blogging knowledge or skills with them when they join your classroom. While it can be easy to educate students about blogging during your face-to-face time (or learn with them), it’s important to come up with different ways to educate parents. Family members won’t be willing or able to get involved in blogging if they don’t know anything about it. You want your message to be clear, easily accessible, dynamic and ongoing. 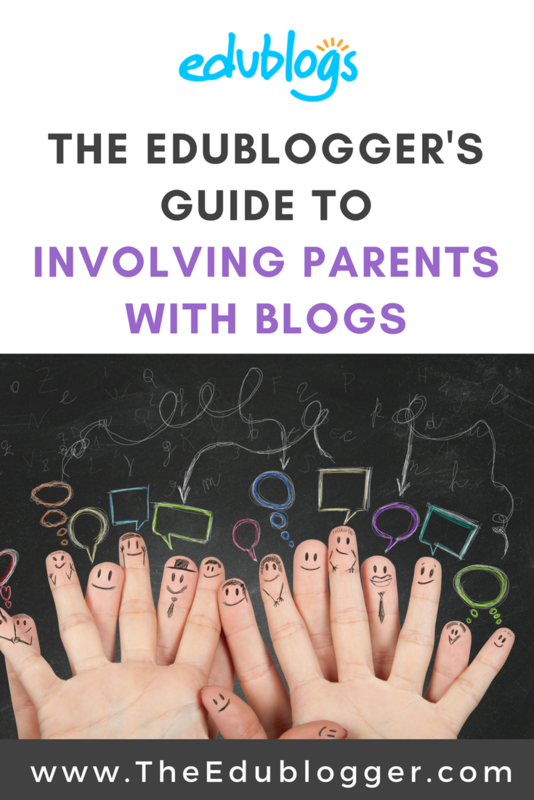 Like students, parents have different learning preferences and it can be a good idea to offer parents a range of different ways to learn about blogging. The following outlines eight sequenced steps that you may consider when educating your families about blogging. Ensuring you have informed consent to blog is crucial. On the first day of the school year, I would send home a blog permission note along with an information note. These can be found in our guide to obtaining permission to blog with students. If you want families to connect with your blog, it’s important that they know how to find it and return to it. This is an important step that can’t be overlooked. As pointed out in our Teacher Challenge guide, you can’t expect that parents will be able to find the blog through a Google search or students’ handwritten notes. There’s too much room for error. And don’t forget to set up an email subscription so parents can be automatically notified of new posts. Tip: We have a help guide to walk you through this process. Remember to check out the Teacher Challenge post for more ideas on how to help families find your blog. 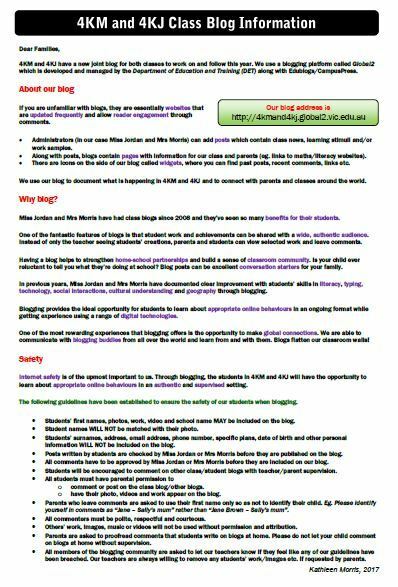 There is a lot to know about effectively navigating the class blog so I created a 10 step handout for parents. I would send this home shortly after receiving returned permission forms. A guide to navigating your class blog is even something students could create themselves. And of course, it doesn’t have to be a paper guide. A digital or email version might work for your families. Sheri Edwards’ class in Washington State also created a handout for families which you can find on their blog. Note: Want to modify my notes and handouts for your classroom use? Go ahead! I have included a CC-BY-NC license for the PDF files. Simply credit me (Kathleen Morris) as the original author and link back to my blog (primarytech.global2.vic.edu.au or theedublogger.com). Pages are the ideal way to publish static information on your blog. You might choose to help educate your families about blogging through information on a page. A “learn about blogging” set of pages on a class blog can explain to all readers (including parents) what a blog is, the benefits of blogging and how to comment. My former team teaching partner, Kelly Jordan, uses these pages on her class blog if you want to get ideas. For readers who prefer a more visual description, a video tutorial can explain how to comment. This can be posted on a page of the class blog for easy reference. Below is an example I created for Miss Jordan’s class blog. Tip: I used a Chrome extension tool called Screencastify for this video but there are many screencasting tools available. Educating and encouraging parents to get involved in your class blog is not a one off process. Having ongoing strategies in place will ensure a steady pattern of involvement throughout the year. Many classes hold these events at the beginning of a school year. Why not put blogging on the agenda? Just last week, my old blogging buddy in California, Linda Yollis, held a back to school information night. I skyped in to discuss the benefits of blogging with her students’ parents. Maybe you could get a former student, parent or colleague to help you with your presentation? This is a concept I created where family members were personally invited into the classroom by the students. Students would teach their special guest about blogging through a scavenger hunt type activity. You can find a post about this event on my old class blog. Linda Yollis created this idea for her class. The concept was borrowed by myself and others many times as a way of encouraging family participation in blogging. During Family Blogging Month, students try to get as many family members as possible to comment on their class blog. Find out more about how to host your own Family Blogging Month in this post. Like many teachers, I was always a fan of sending a fortnightly e-newsletter to parents. I found this to be a great way to offer blogging news or tips (amongst other classroom news and reminders). A newsletter can also be a platform to thank the parents who have been commenting, and invite parents to comment on particular posts. Being specific on what you want parents to comment on can increase participation. Some schools now use a blog as a replacement for a newsletter altogether like Craigburn Connections in South Australia who have a CampusPress platform set up. This idea was originally inspired by Henrietta Miller. I noticed a big increase in parent participation when publishing a post specifically based around a question for parents. Miss Jordan’s class have an example post on their blog where parents were asked about old technologies. Linda Yollis came up with the idea of calling on parents to be virtual volunteers on a roster basis. Rather than helping students in the classroom, they can assist online by replying to students and engaging in conversations. Some classrooms have a parent representative to assist with various tasks and events. Would a blogging rep work in your class? The rep could organize your virtual volunteer roster, invite families to read and comment on posts, respond to comments, or, depending on skills, assist with tasks like photography and the creation of multimedia. Show a family member one of our blogging buddies’ blogs and leave a comment together. Write an invitation to a friend or family member to comment on a specific post. 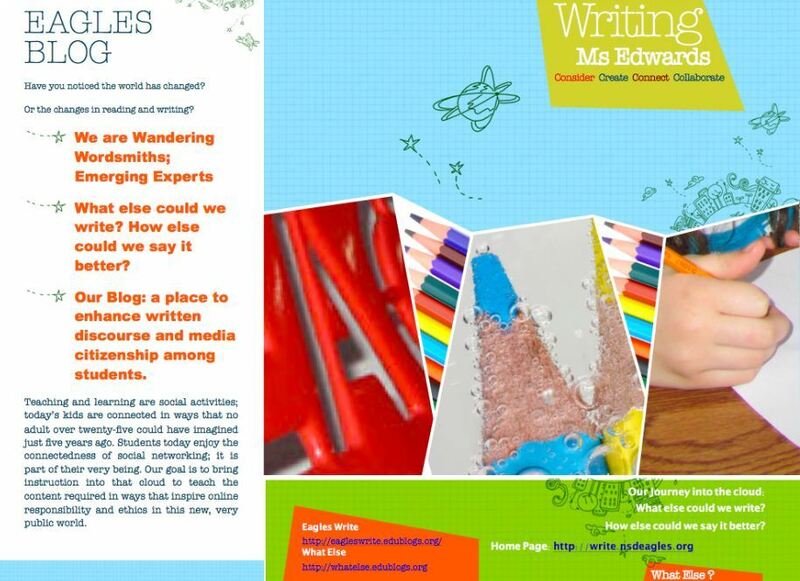 Write a letter explaining the blog like Land of Year 4s class did as a classroom activity. Parents bring a wealth of information to your classroom community. Traditionally, some parents might present to the class on their career or hobby from time to time. 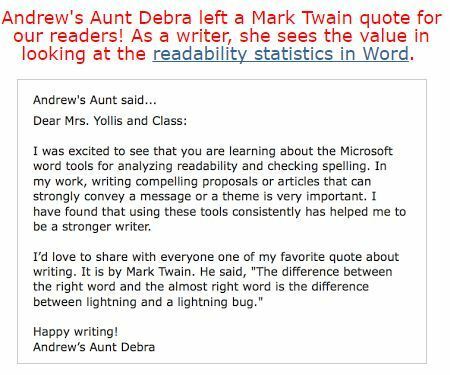 Why not adapt this format by having parents write guest posts for your class blog? Alternatively, you could have students interview parents or community members for posts. Your ready-made audience doesn’t only consist of parents, of course. There may be other family members, including grandparents, who would love to become part of your blogging community but just need guidance or encouragement. 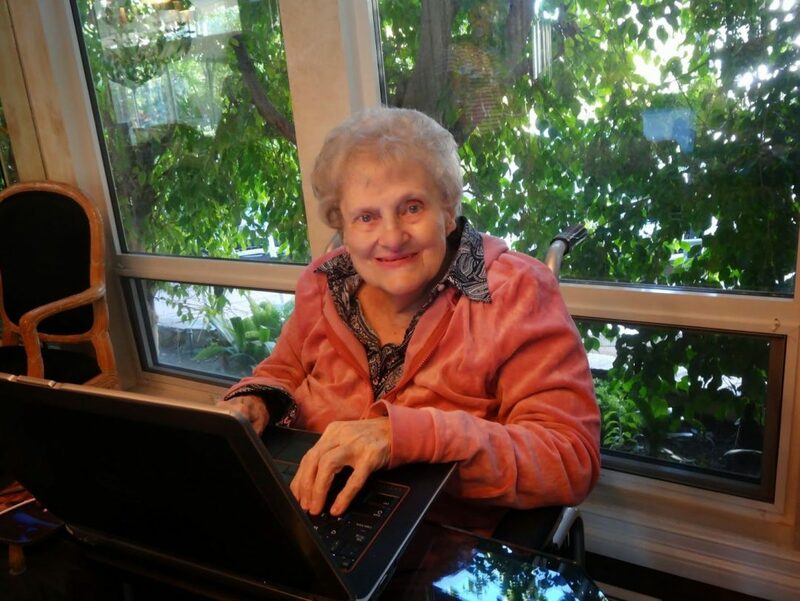 Linda Yollis has had great success with some grandparents becoming particularly interested in her class blog. Bubbe, a 92 year old great-grandmother guest posted on her blog and Nonno, an Italian grandfather was once a regular contributor. The role these community members played in the students’ development was priceless. You want parents reading and commenting on your blog but it’s important to remember that communication is a two way process. It is good blogging etiquette to reply to comments and this provides an example to students that comments are not just one-way; they are used to generate conversation and discussion. A great deal of learning can occur when conversations are developed, so this is an opportunity you don’t want to miss. Parents may become reluctant to keep participating if they don’t feel their comments are being read, valued or acknowledged. While time constraints can be limiting, you might consider setting up a system in your classroom to ensure comments receive replies. Could this be a task for early finishers or a weekly writing activity? Could replying be a homework task or a way to earn extra credit? Could parents be asked toorganizee replies through a virtual volunteer or parent rep system as described above? Find out what works for you. Feedback is powerful. Consider ways you can offer parents thanks and encouragement to keep commenting. You may want to recognize the commenting efforts of particular parents in a blog post, class newsletter or in a personal email. The flow on effect can be immense. Linda Yollis uses blog posts to highlight comments from their classroom community. Have you tried multiple strategies to educate and involve parents in your class blog but find you’re still getting limited engagement? Why not try asking families what they need? Consider running a survey or ask for feedback through an email, informal chat or other form of communication. Perhaps parents can’t remember where to find the blog? Maybe they need another lesson on how to comment? Perhaps they don’t have access to the internet at home or they’re struggling to find the time? Is your blog easy to navigate on a mobile? Many readers now access blogs through their phone or tablet so this could be another hurdle to consider. If in doubt, don’t spend too long wondering why your parents aren’t participating in your class blog. Ask them. Remember that parents will connect with your blog on different levels, just like students will. Some will hopefully embrace blogging wholeheartedly while others may not be as passionate. While it’s certainly ideal if all your parents are at least reading the blog, with a little encouragement you might find some parents take it to the next level. 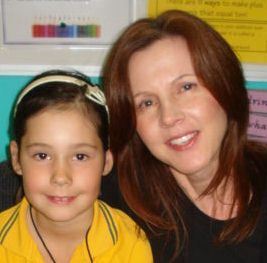 Read about one of my former parents who established her own relationships with students, parents and teachers from all around the world. It’s an amazing story! This infographic might be handy to help you come up with ideas throughout the school year. Perhaps you have a colleague you could share it with too? What other ideas do you have for involving your parents in your class blog? Could you add any links to guides or resources you have made? I just found your site and will definitely be using all of your suggestions for starting a blog with my 4th graders this year! You have some great ideas on what to use and how to get families involved, which is exactly what I want to do. I am so excited! The materials that Kelly Jordan uses on her page…can I use them? Or, are they copyrighted? Kelly would be happy for you to use her resources. Just say where they’re from and add a link back to her site. As a parent, I would love for more opportunities to be involved in my son’s education. I have heard of teachers posting updates online so parents can see what their child is doing throughout the day. If you have a child then you know the typical response when asking about their day is,”it was good.” I would like to know more. As a future teacher, I will include parents as much as possible because I know what it feels like to be left out of your child’s education. Some parents might not care to be involved. Participation should always be an option for parents. I think you’re right. When you become a parent you really see how valuable the home-school communication is! Kids certainly do seem to have a bit of amnesia when asked to retell their day at times. You certainly have a great attitude about parent communication as you head into your teaching career. Good luck! Many thank. It is fruitful and enjoyable learning provided resources. Just your headline alone caught my eye! I am always looking for more ways to get parents involved. Social networking is absolutely something we have in common with most of our students and their parents. I feel connecting through a class blog would not only be appealing to families, but also create a strong community and relationship between home and school. It provides a public overview of what students are doing and learning at school which I think should always be highlighted. There are so many great things happening in classrooms all over the world and we as teachers should be proud of all the hard work, time and effort that goes into it. You have such great ideas for how to implement blogs in the classroom. I can not wait to mention these ideas to my colleagues. Thank you for the helpful tips! I am so happy to hear you gave had success with this. Wow thank you for such an enthusiastic comment! You’re exactly right that there are so many great things happening in classrooms all over the world and we don’t know about most of them. This is such a shame. I love the way blogs can highlight different things in the classroom program. I hope you and your colleagues enjoy trying out some of the suggestions. I’d love to hear how you go! What a brilliant article, packed with resources which is perfect for assisting those of us who are looking to engage more parents and relatives in creating an audience for our blogs. Thank you for sharing your wealth of knowledge with us all. This is a blue ribbon post about parent participation with classroom blogging! You have included all the important details to ensure success! Although building a classroom community via blogging takes time and effort, the rewards are well worth it! Thank you, too, for including and giving credit for some of my blogging ideas. You always model impeccable digital citizenship. One idea I would add that has helped bring attention to the blog is to create a Welcome Back blog post. You never have everyone’s attention like the first day of school, so I try to capitalize on that. I showcase the importance of the blog with a Welcome Back post that I email to families the day before school begins. I tell a little bit about myself and then encourage my new students to compose a comment with their parents. Often times, older siblings that were in my class are excited to blog again and help compose and publish an introductory comment. I always get a couple of comments that first day. Then when a child gets to read his/her comment in front of the new class, the other students want in and they go home and get their family blogging! It is a fantastic way to spotlight the class blog and to underscore the importance it will have all year. Again, what a fabulous resource for teachers to begin educational blogging! Thank you so much for your kind words. As you can tell from the post, you have given me so many ideas over the years which has really benefited myself, my students and their families. What an excellent point about the back to school post! This is an idea I even borrowed from you as well. It really is perfect timing as families are naturally curious about their teacher and new class. I strongly encourage everyone to check out your link for the example. Your comment also reminded me of another idea I forgot to include! Remember how once or twice when I met my new students before the summer break we skyped you so you could talk about the blogging program? We got tremendous feedback from this because the students would share their excitement with their families and start blogging. I followed this up with a welcome letter home to new students so they could look at the blog while on their summer break too. I love your enthusiasm, Linda. Keep up your wonderful work with blogging. You’re a role model in the community! This is a fantastic resource, which provides so many different ideas and entry points. I will be definitely coming back to this again and again. Thanks for your support! We hope you and the teachers you work with will get some ideas out of this post.